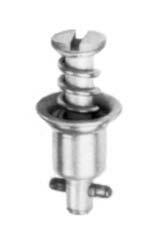 This Turnlock part MTHFTLS-19Z is a light duty stud. 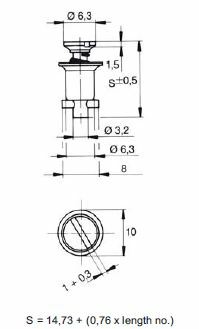 We recommend the use of the following Turnlock retaining washers: MTHWSS, MTHWFS, MTHFWFTP or LEGWFZ. Turnlock can offer you stud MTHFTLS-19Z with Certificate of Quality, Certificate of Conformity and Certificate of Origin on request. Turnlock is offering stud MTHFTLS-19Z as factory new.